Mounting racism certainly was a barrier that narrowed the range of employment and limited the satisfaction that would result from work, but it was somewhat more permeable for Blacks with unique talents or abilities. Such a person was Charles Porter, who has recently been rediscovered as a major 19th painter. He is shown here in about 1911 with a couple of his students at a dinner party. Only a small portion of his works are known today, and what we do have tends to be work done in old age after the height of his creative vigor had already passed. Porter's family had lived in Hartford since the 18th century, but his father moved to a house in Rockville while Charles was a young boy (we are not sure of his birthdate, which was approximately 1847-50). 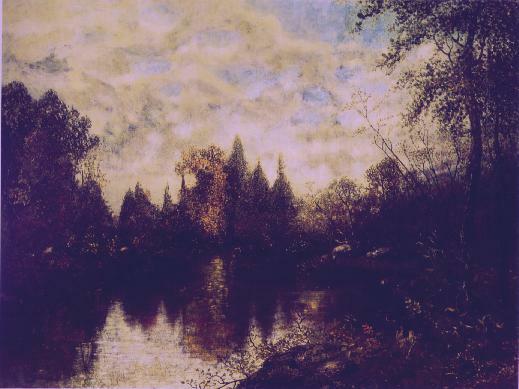 It appears that, although Porter kept a studio in a tower on a Rockville hilltop not far from his family's home (where this landscape painted in about 1880, during his experimentation years), by 1877 he had also established a studio in downtown Hartford and by then he had also exhibited. Shown here is his Hartford studio in the tower of the Cheney Block on Main Street. We name the building today after Richardson, who designed it. Thanks to the sponsorship of Mark Twain, Porter was able to go to Paris in 1981-84, where he came under a variety of influences and was able to reach the heights of his ability. 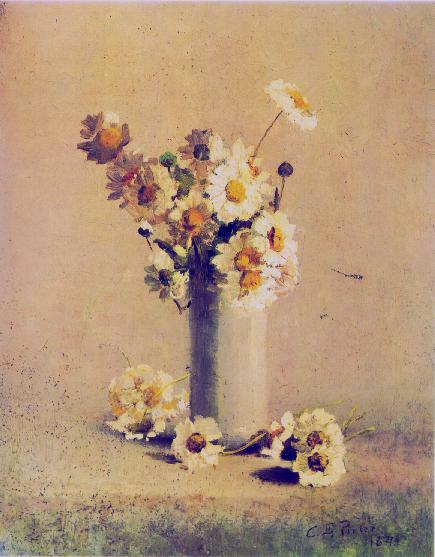 This still life vase of daisies is a work done in his Hartford studio in 1884 shortly after his return. Although Porter's personal life is a bit obscure, it is evident that he encountered a city in which racism was increasing in intensity. Porter was acclaimed by the press and was awarded important prizes, but after settling in Hartford (he actually spent time travelling and also working in his New York and Rockville studios - until the latter was hit by lightening), his race began to result in social isolation. A Bavarian artist who shared his studio, Gustave Hoffman, had to sell Porters paintings door to door because no one would buy the work of a Black man. It is said that a significant part of his output in these years still hang unrecognized on the walls of Hartford homes. By the time of his death in 1923, racism had cast him into complete obscurity, and it was only very recently that he is once again recognized as one of the country's outstanding late nineteenth-century artists. For an assessment of Porter's experience in Hartford's Black community, there is a useful study by Professor James Miller, "Charles Ethan Porter and the Hartford Black Community," in Charles Ethan Porter (1847?-1923) (Marlborough: The Connecticut Gallery, Inc., 1987). The Primus family can be traced back to a Black freeman, simply named Primus, who was servant and apprentice of a Dr. Wolcott in the mid-18th century East Windsor area. He went on to become a doctor himself. One of his immediate descendents was the sailor, Ham Primus, whose service was so outstanding he gained a status rare for Blacks: American citizenship. He married Temperance Asher, and their children were an important part of Hartford's early Black community. Holdridge Primus was one of their children. 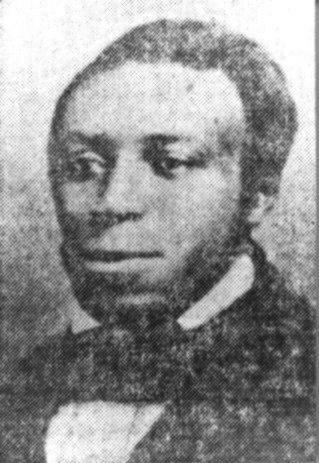 This is a photo of him from the article, "The Colored People Who Live in Hartford," in the Hartford Courant of 24 October 1915. Holdridge was employed as a clerk at Humphrey and Syms, which sold sugar, coffee and tea, during much of his life and eventually became a silent partner. 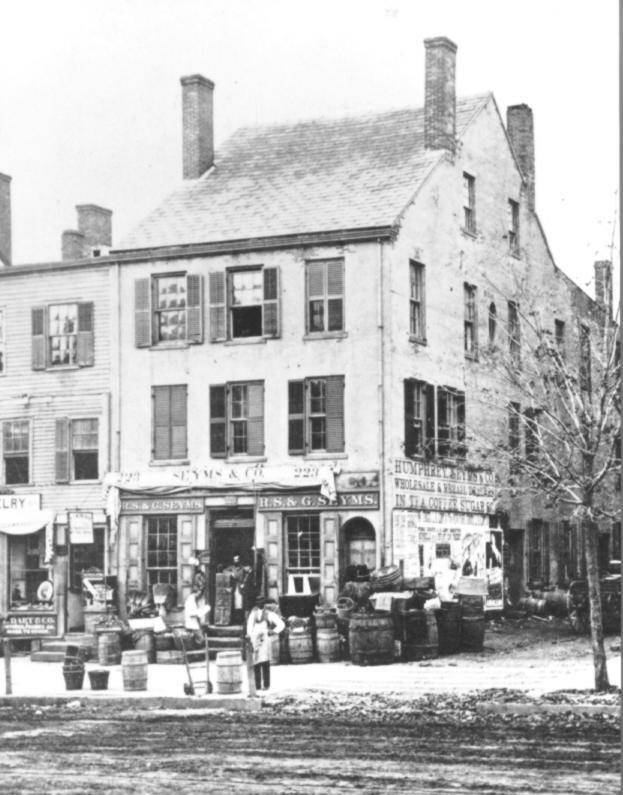 Here he can be seen standing in the light snow in about 1860 in front of the store (Connecticut Historican Society Museum). He married Mehitable Jacobs, a dressmaker and a founder of the Talcott Street Congregational Church. By 1850 the couple had acquired a home at 20 Wadsworth Street, and were considered wealthy for a Black family. Among their four children was Rebecca, who was a Maryland schoolteacher with the Freedman's Bureau, where she sought to advance the condition of Black people. When she returned to Hartford she married a Charles Thomas and fell into obscurity, but continued to teach at the Talcott Street Church school. Another child was Nelson Primus, who apprenticed as a carriage maker and painter. In 1864 he moved to Boston to begin a career at a portrait painter. His work was exhibited in Hartford and Boston, for at the time downtown Hartford had a lively art colony (that included Charles Porter), and these artists used their studies to exhibit their own art and that of others. To see illustrations of his portraits, read the book, Art and Artists in Connecticut.